Our experienced web designers will provide a web design service to give your website a modern and professional approach. We pride ourselves on creating premium, bespoke websites that really showcase your business. We feel this is one of the most important steps in creating an effective website design. It’s often the first ‘touch’ your customers will have with your business so it’s vital you make a lasting impression. Like it or not, your customers will make an instant judgement when visiting your website. A bland, confusing first experience will quickly send them looking elsewhere so make sure you grab their attention with a stunning website design and a compelling user experience. See some of our past work with clients requiring website design. We work with clients across Bristol, Bath, Wiltshire and the whole of the South West area. Our designers create beautiful design concepts tailored to your business. Your website should work perfectly on all devices. 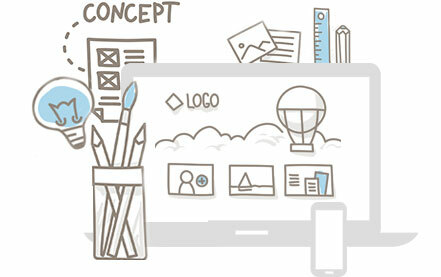 Our design team ensure the design delivers the best experience for all users. All our website designs are tailored to your business and, most importantly, the needs of your audience.